[Scott] created an LED candle in preparation for the big mac daddy storm (storms?) coming through. Like millions of other people in Florida, he was stuck at home with his roommates when an oncoming hurricane headed their way. Worrying about blundering about in the dark when the power inevitably went out, they set off to gather up all of the candles they had lying around. Realizing the monstrous pile of candles and matches looked more and more like a death wish, the decision was made to create a makeshift light out of what components they had on hand. Now, not having access to any outside sources for parts means that you are going to have a bare bones model. That being said, this straightforward light only takes a couple of seconds to put together. Jury rig a couple of AA or AAA batteries up, then slap on a resistor, LED, and jumper to get that sucker running. Wrap electrical tape around the whole thing, or even try duct tape, whatever gets the job done. A little paper hat on top of it will diffuse the light and bada bing, bada boom, you’re all done. Generally though, soldering directly onto a battery is not a wise idea. So, if you want to get fancy, perhaps a better alternative is to have a battery casing as shown below. Do you ever look at some of the most classic and world-changing inventions and think, “Darn, I totally could have invented that if I was born 100 years ago!”. Sometimes its a lot of fun to try to recreate these inventions making use of period-accurate materials — like this jar-based carbon filament light bulb! The project is made out of simple household materials that you probably already have. A jar, some pencil lead, a clothes hanger, some nuts and bolts, a bit of silicone, piano wire and a bit of JB weld. The only thing you might not have is some compressed CO2 — unless you have a kitchen fire extinguisher, a paintball gun, or one of those home-made pop carbonation machines… Alternatively you can just buy some dry ice and let it sublimate in the bottle before you seal the bulb. 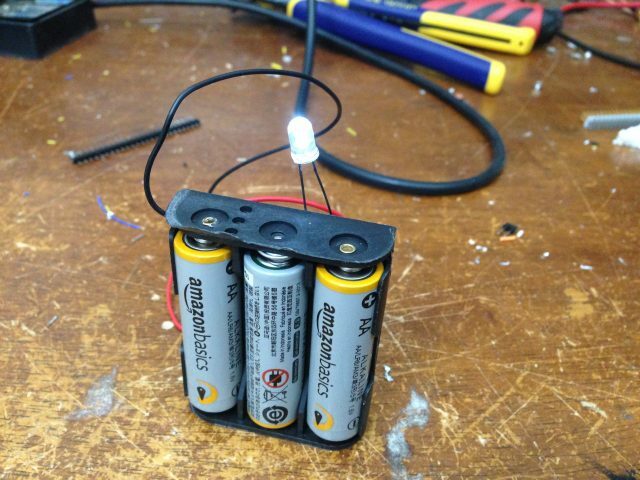 No fancy tools are needed (except for an air nozzle for filling the bulb), and it’s not too difficult to construct. The trickiest part is probably drilling small holes through the screw, but if you choose nice brass screws it’ll be quite easy to do. 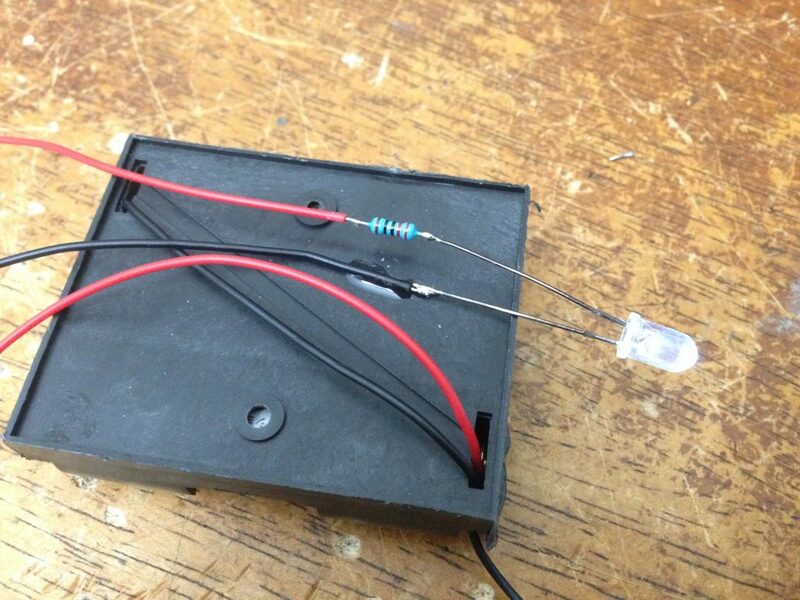 Once it’s all assembled, plug it into a car battery and enjoy your inefficient 1-lumen light bulb! Still — pretty fun experiment!